Peaceful Valley Farm Supply – Organic seeds, fertilizers, pest controls, and gardening supplies. Ashworth, Suzanne. Seed to Seed: Seed Saving and Growing Techniques for Vegetable Gardeners. Decorah, IA: Seed Savers Exchange, 2002. The most complete manual on seed saving that I’ve seen yet with details about distances needed between varieties, and how to save seeds from more obscure plants. Bartholomew, Mel. Square Foot Gardening. Brentwood, TN: Cool Springs Press, 2006. A classic reference for those who are interested in the square-foot style of gardening, I still use this book as a spacing reference for my intensively planted rows. Heffner, Sarah Wolfgang. Heirloom Country Gardens. Emmaus, PA: Rodale Press, 2000. A beautiful book featuring old-fashioned vegetables, herbs, and flowers. Interesting tidbits, gorgeous illustrations and photographs, and super helpful, common-sense information. Markham, Brett. MiniFarming: Self-Sufficiency on 1⁄4 Acre. New York, NY: Skyhorse Publishing, 2010. Heavily focused on building soil fertility and sustainable, intensive gardening techniques with less information on the plants themselves. McLaughlin, Chris. The Complete Idiot’s Guide to Heirloom Vegetables. Indianapolis, IN: Alpha Books, 2010. Growing and seed saving information as well as descriptions of several hundred heirloom vegetable varieties. The Complete Idiot’s Guide to Small-Space Gardening. Indianapolis, IN: Alpha Books, 2012. Great information for squeezing the most produce out of every space possible. The smaller your garden area, the more you need this book. Phillips, Michael. The Holistic Orchard: Tree Fruits and Berries the Biological Way. White River Junction, VT: Chelsea Green Publishing, 2012. 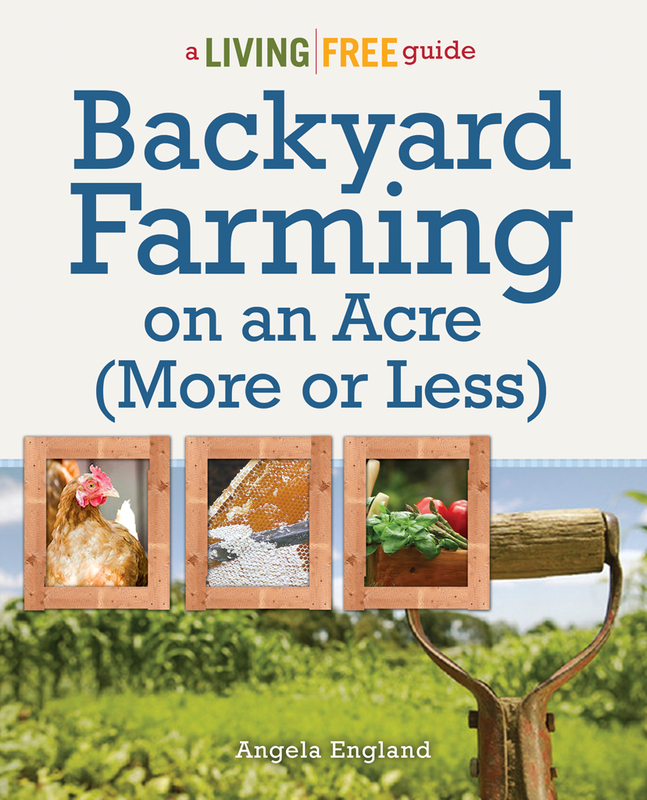 One of the smartest books about keeping fruit organically that I’ve ever read, this is a must-have for backyard farmers who want productive, organic fruit trees on their property. Rodale, Maria, Anna Kruger, and Pauline Pears. Rodale’s Illustrated Encyclopedia of Organic Gardening. New York, NY: DK Publishing, 2005. Overview of organic gardening techniques, pest control, and various vegetables, fruits, and herbs. Doesn’t limit itself to heirloom varieties. Solomon, Steve. Gardening When It Counts: Growing Food in Hard Times. Gabriola Island, BC, Canada: New Society Publishers, 2005. This book also largely focuses on increasing and maintaining the soil fertility and includes some well-researched information about plants I haven’t seen elsewhere. Contains the formula for “Complete Organic Fertilizer” mix to feed your plants in a pinch.